Public Domain Picture: AML Glass Buttes, G3, Burns District. This ore sample was broken open with a hammer to show the red cinnabar (mercury sulfide) ore inside. 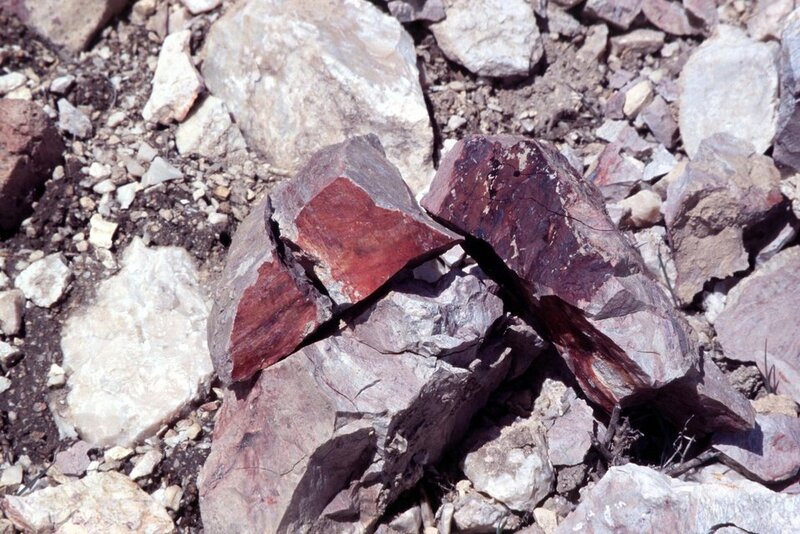 The ore sample oxidizes readily to purple where it is exposed to air and sunlight.